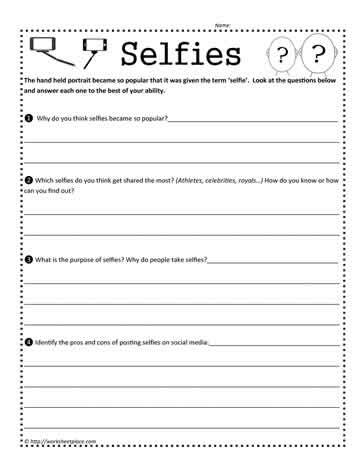 Selfie worksheet. Why are selfies so popular? What are the pros and cons of posting selfies? Can selfies come back and haunt you at some point?